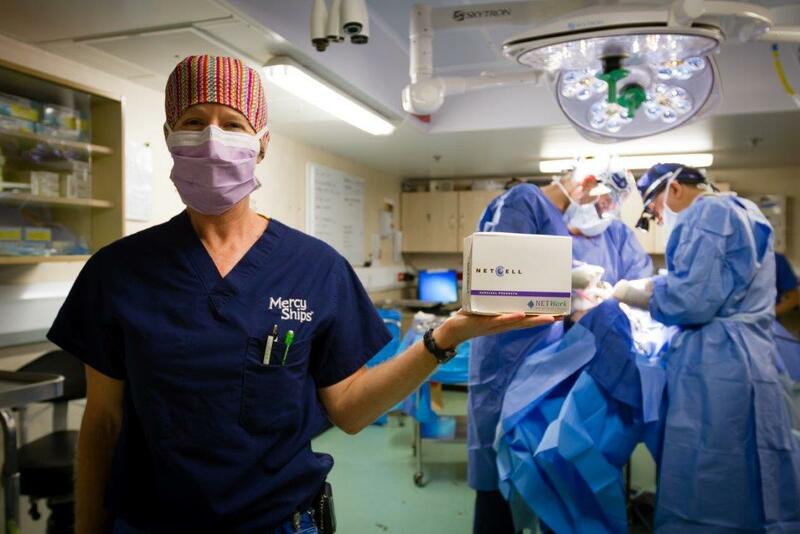 Mercy Ships, the international charity that provides free medical care and humanitarian aid to some of the world’s poorest people, has received a generous donation of PVA nasal packs from Network Medical Products Ltd.
Mercy Ships operates the world’s largest floating hospital, the Africa Mercy, delivering free healthcare to countries where the services of professional medical staff are most needed. The ship is currently docked in Madagascar, which is one of the world’s poorest countries with only 2 physicians and 3 hospital beds available for every 10,000 people. Founded in 1978, Mercy Ships have served in more than 451 ports throughout developing nations around the world, bringing hope, relief and healing to millions of the most vulnerable people.